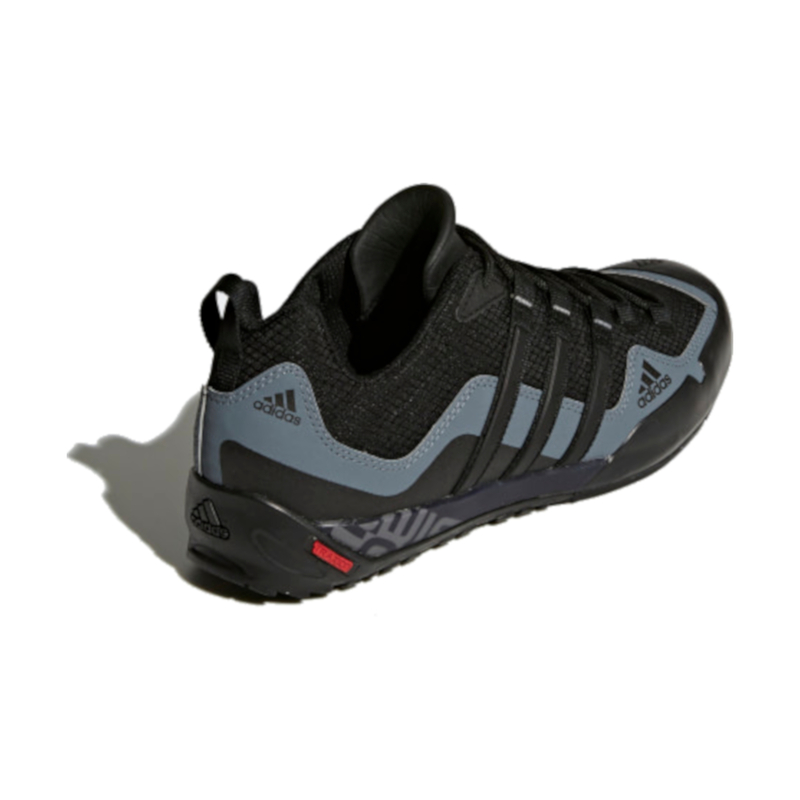 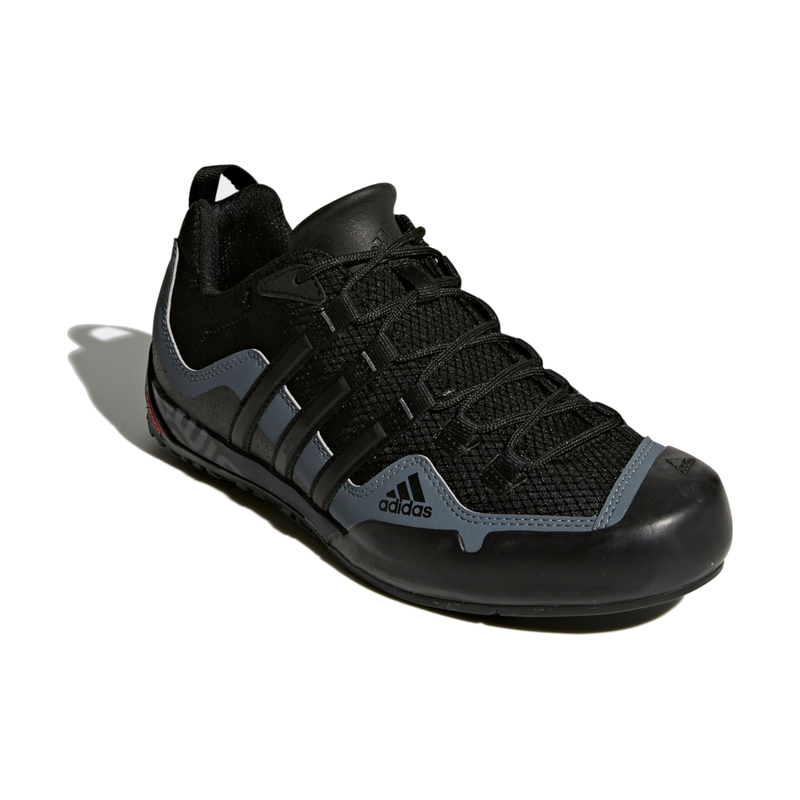 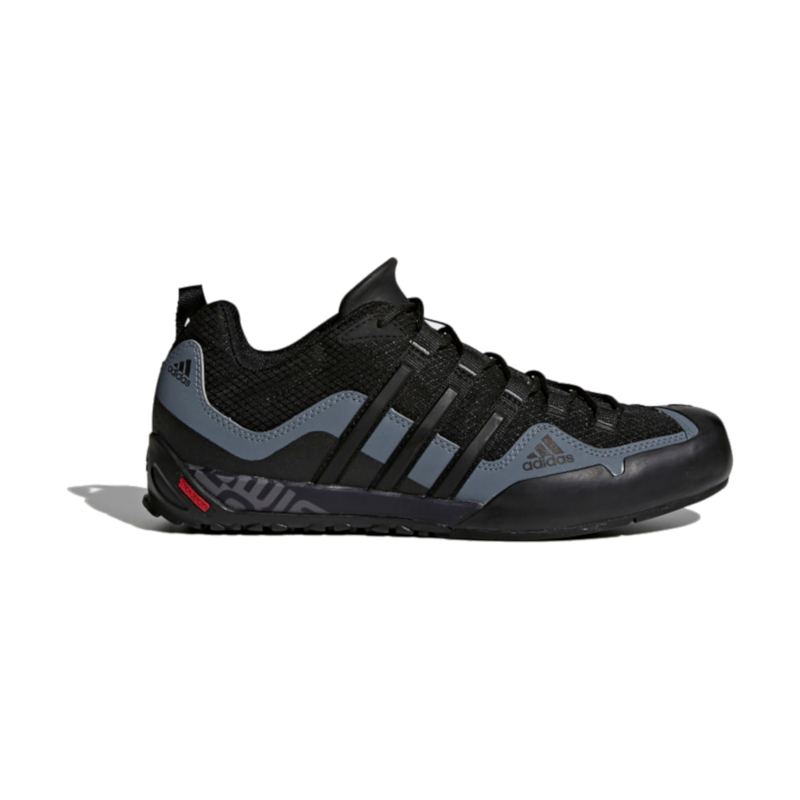 The Adidas Terrex Swift Solo is a lightweight and breathable yet highly durable approach shoe. 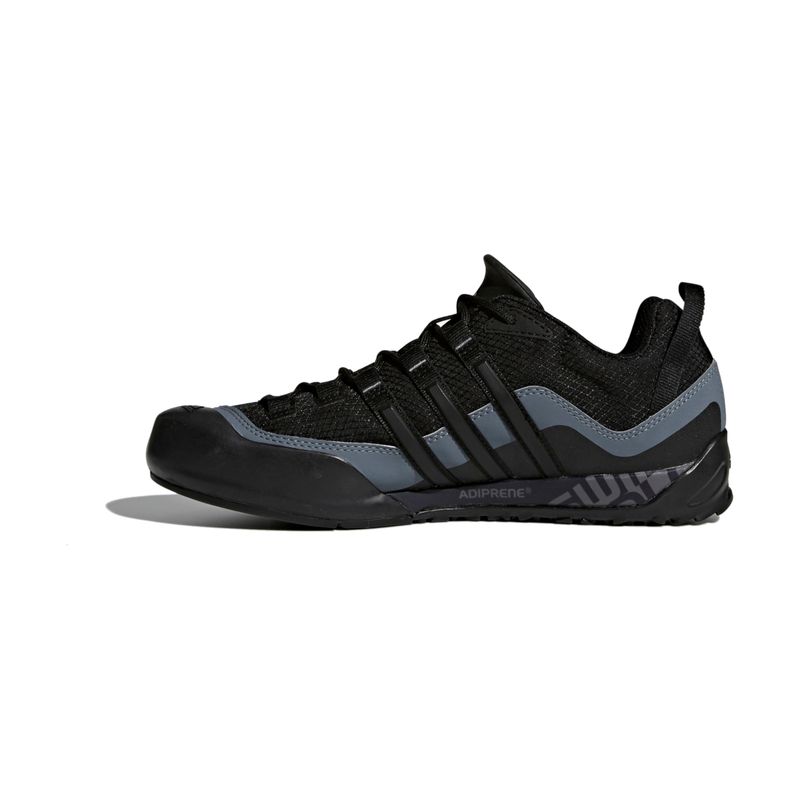 The upper is made from a ripstop material that's highly abrasion-resistant, and synthetic overlays and a protective toe-cap increase durability in key areas. 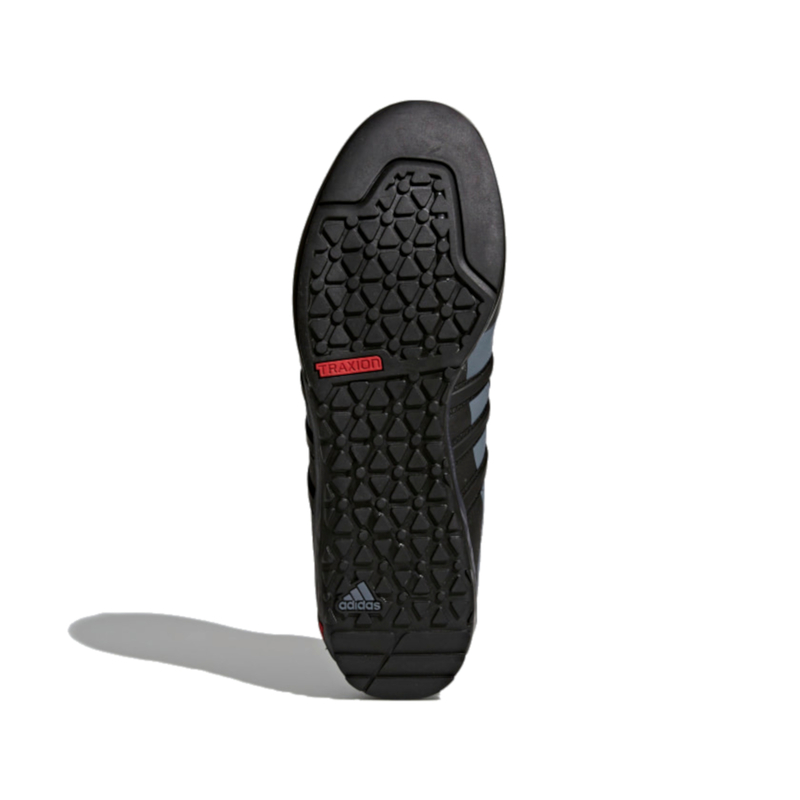 A high-performance Traxion sole provides grip on all terrains, wet or dry, and a climbing zone enhances precision on steep, technical approaches. 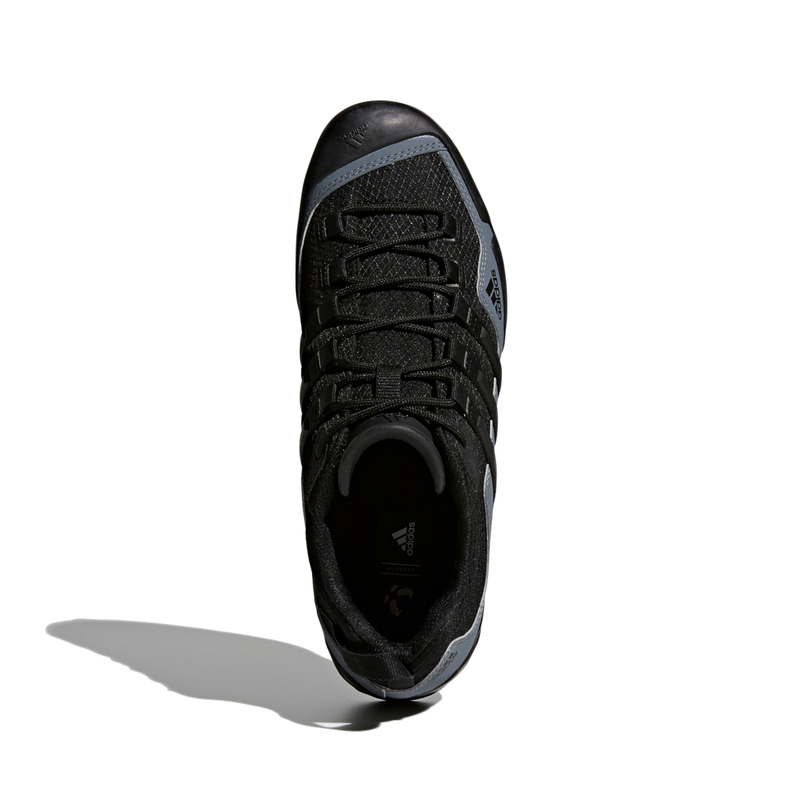 It also has a lightweight EVA midsole for long-term cushioning.